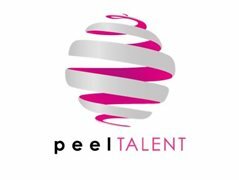 PEEL Talent is an industry leader in providing first-rate entertainment within the cruise industry. And we’re now looking for talented Duos and Trios to join our entertainment teams on-board one of our biggest clients; Marella Cruises. Formerly Thomson Cruises, Marella have been a longstanding name within the cruise industry, and working alongside them allows our entertainers to travel the world to some of the most exotic locations. Musicians will entertain from the top deck to the grand atrium, as a group and with your fellow musicians you’ll play to hundreds of passengers. Guests tend to vary in age, so we require musicians to have a clean look with a multi-generational appeal, including a versatile repertoire of at least 250 songs that mixes the best of new and old to ensure there’s something for everyone. Please reference where you heard about the job opportunity when applying for this position.